Mark Loewenberg PA 561-214-0370: Another Under Contract Home In Caloosa By Mark Loewenberg! Another Under Contract Home In Caloosa By Mark Loewenberg! Another Under Contract Home In Caloosa! 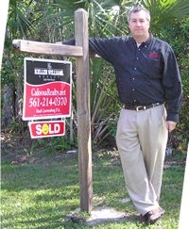 Hi Mark, Congrats on getting 13080 Rosewood Lane in Palm Beach Gardens, FL under contract. thank you Gabe the buyers are doing their inspections and charging forward! Hi Mark --- some of my favorite AR posts to read are those like this. Congrats. Here's to a successful and smooth closed transaction.